Iconic filmmakers such as cinematographer Dean Cundey ASC (Jurassic Park, Back to the Future) and composer Charles Bernstein (Inglorious Basterds, Nightmare on Elm Street) are set to offer Master Classes online in The Reel Studio, part of The Reel Nexus, Inc. - a new company focused on creating an online bridge between aspiring and iconic filmmakers, film professionals and fans. 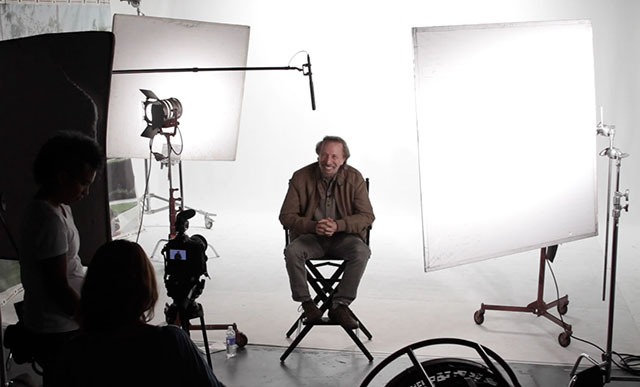 The Reel Studio is creating an online bridge between aspiring filmmakers and iconic filmmakers. Forging a new interactive educational platform, The Reel Studio is creating an online bridge between aspiring filmmakers and iconic filmmakers. The Reel Studio is a web series of Master Classes by master filmmakers drawn from every department demonstrating the best practice, craft and teamwork for successful film production. Backing up these tutorials are interviews, instructions in basic concepts, engagement forums and online gaming elements to reinforce concepts taught in the Master Classes. 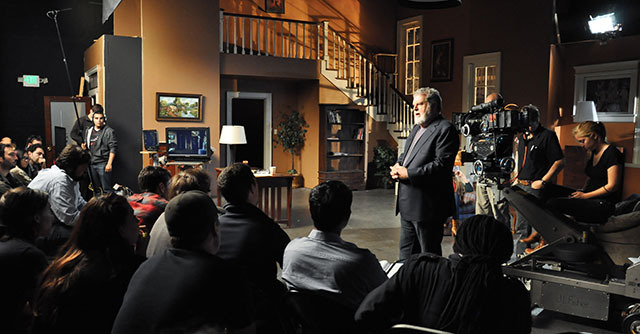 The Reel Studio immerses the filmmaker with techniques developed by filmmakers such as cinematographer Dean Cundey (Jurassic Park, Back to the Future, Halloween), music composer Charles Bernstein (Inglorious Basterds, Nightmare On Elm Street), stuntmen Cory DeMeyers (Star Trek Into Darkness) and Jesse La Flair (300: Rise of an Empire), and screenwriter Jim Uhls (Fight Club). In its infancy, The Reel Studio has already engaged with aspiring filmmakers in the Los Angeles area to create a community that unites them with master filmmakers. The Reel Studio is an educational web series about the art of visual storytelling. 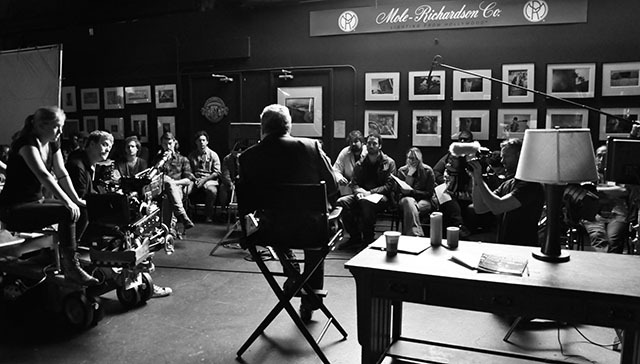 In The Reel Studio, iconic filmmakers host Master Classes with over 5 hours of content for each filmmaker, including an interview, tutorials, Q&A, games and watching the filmmaker's creative process on set in a real production.